Our new mountain goat. Just 7.6kg. At the 2017 Tour de France the Col d’Izoard was the finish of a spectacular mountain stage. And we are convinced that this 2000-Euro-class carbon racer would have shown a great performance up there. 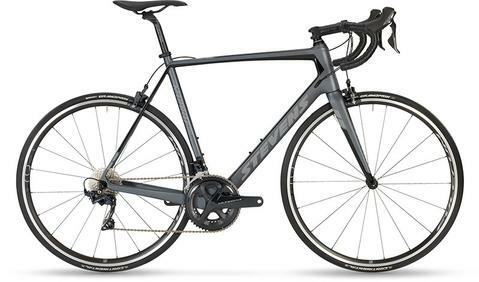 With up-to-date frame technology and sophisticated specs like Shimano Ultegra semi-compact group, Fulcrum Racing wheels plus 25mm Continental tires. Just try it!